Janice Williams. Photo special to the Journal. A walk through the Wildflower Garden at the Birmingham Botanical Gardens one Sunday afternoon 25 to 30 years ago was all it took. Janice Williams said she “fell in love with the place,” and she’s been volunteering with the Botanical Gardens ever since. 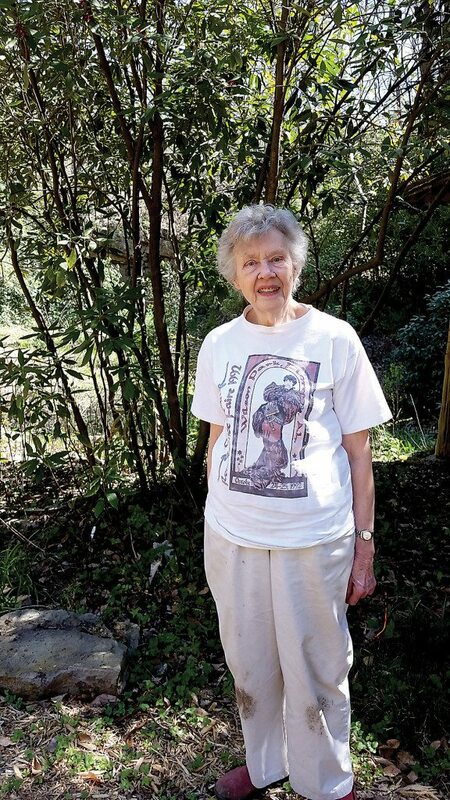 She started out working with the group that raises plants for sale and eventually worked her way into service at the Kaul Wildflower Garden as well. Williams said she doesn’t get enough sunlight at her home to grow wildflowers, so she enjoys being around the flowers at the gardens. Her favorite thing about volunteering, though, is “just being outside, where it’s quiet and you don’t have the telephone ringing,” she said. “It’s nice to be outdoors and see everything that is coming up new,” she said. Volunteers make up most of the Botanical Garden’s workforce. The volunteers maintain the existing plants, plant new flowers, gather seeds to pot for the annual plant sale and clear away dead foliage in their assigned gardens. Because of the huge amount of volunteer work performed there, the garden is able to allow the public in for free. It is the only botanical garden or arboretum in Alabama and one of the few in the Southeast that offers free admission.